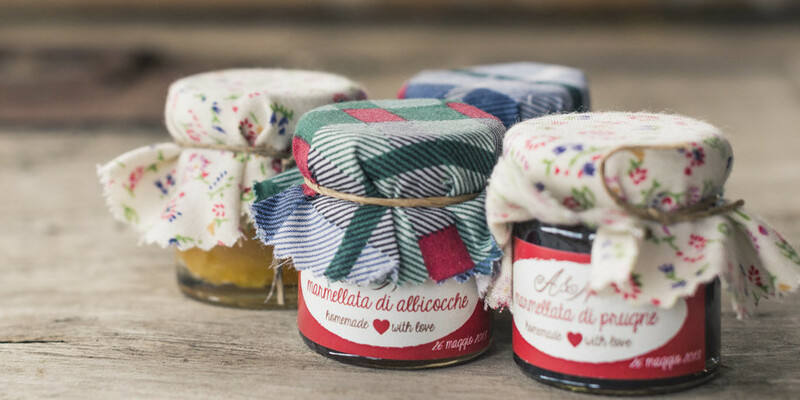 Traditionally by the end of the Wedding in Italy the newlyweds are supposed to distribute to all the families a ‘Bomboniera’ which is a tiny wedding favour to thank the guests and keep the memory of that special day. When it comes to ‘Bomboniera’ Italian tradition mainly consists of a small bag containing 5 sugar almonds, their symbolical meanings are: Health, Happiness, Fertility, Longevity and Wealth. The bag also includes a card with the name of the spouses and the wedding date. Anglo-Saxon tradition, and in general a common way to thank the guests of a destination wedding, are Welcome Gifts. Unlike ‘bomboniera’ those presents are given to the guests at their arrival, at the Hotel reception or directly in their room. If the guests’ accommodation is an apartment, then the common habit is to leave them a Welcome Package with food products, wine and Italian specialities. Whatever you wish to do, we can advise you and help you with Wedding Favours design. Like you, we want to provide a special treat that your guests will remember forever.